*If your existing device does not support 4G sharing, please upgrade it to the latest firmware manually. Click here to find your firmware version. 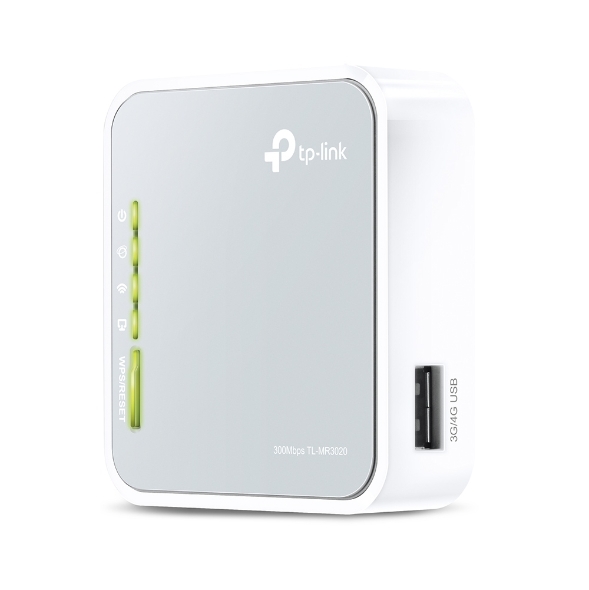 With a travel-sized design, a mini USB port, Wireless N speeds up to 150Mbps and a high compatibility with 3G modems, TP-LINK’s new Portable 3G/3.75G Wireless N Router, TL-MR3020 is the ideal device to provide wireless cloud for iPads™, iTouches™, Android™ Phones, Kindles™ and the vast majority of other portable Wi-Fi enabled devices. TL-MR3020 is the ideal device to provide wireless cloud for iPads™, iTouches™, Android™ Phones, Kindles™ and the vast majority of other portable Wi-Fi enabled devices. 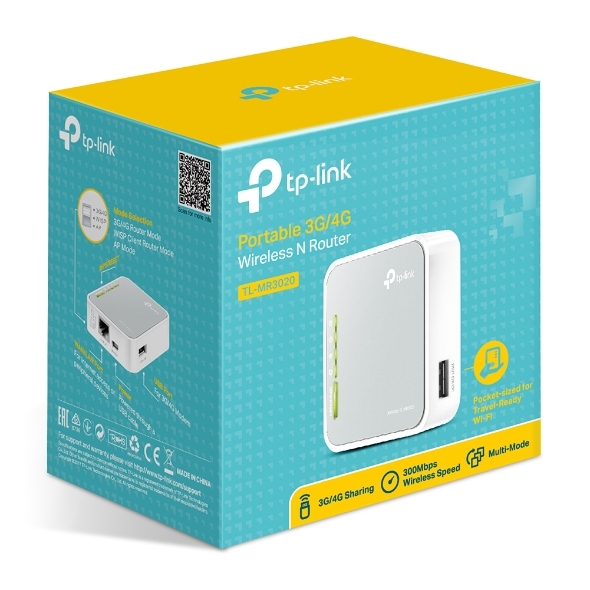 With the travel-sized and compact design, TL-MR3020 is small enough to take on the road and make sure that you can share a 3G internet connection wherever wireless 3G coverage is available. TL-MR3020 is the ideal travel partner for people on the go. 3G Router Mode enables you to plug in a 3G USB modem and share it wirelessly. 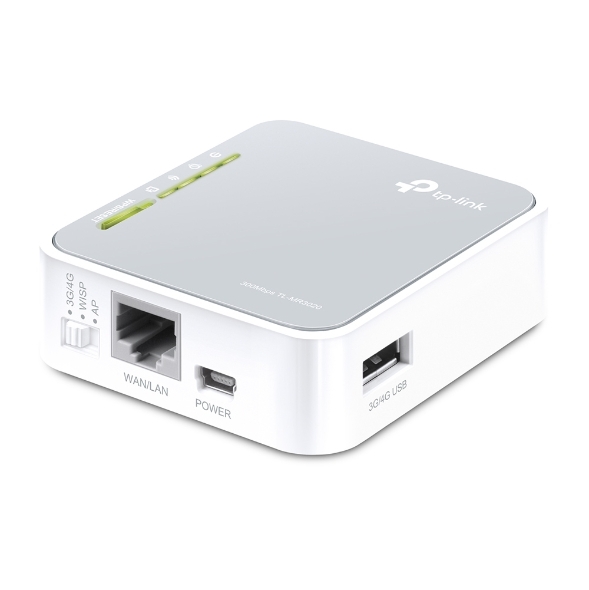 Its Travel Router Mode (AP Mode) allows you to conveniently setup an internet connection utilizing a hotel WAN cable. Meanwhile, you can also use the switch on the side of the router to choose between Travel Router Mode, 3G Router Mode and WISP Client Router Mode based on your different requirements. TL-MR3020 provides you a mini USB port to be connected to your laptop or power adapter for power supply. NBN - Fibre to the Premises (FTTP) - WAN Preferred or WAN Only Modes. NBN - Fibre to the Home (FTTH) - WAN Preferred or WAN Only Modes.